LG HAS unveiled its new G6 smartphone the day before the official beginning of the Mobile World Congress in Barcelona on Sunday, but couldn't resist the chance to take a cheeky swipe at competitor Samsung in the process. The Korean-based electronics company is positioning its latest smartphone as a device for entertainment lovers due to its large screen which stretches across nearly the entire face of the phone. 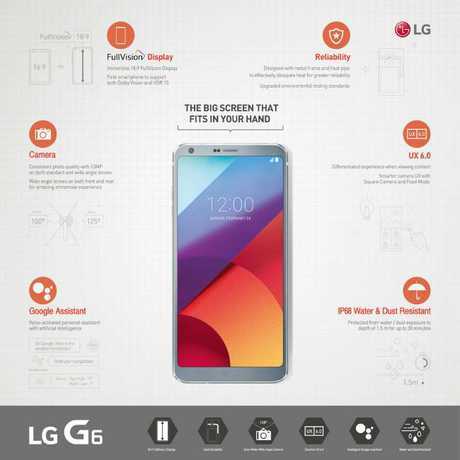 LG has placed a fingerprint sensor (akin to the one on Google's Pixel phone) on the back of the device and shrunk the bottom bezel to allow for a large 5.7 inch screen display, making it easier for users to employ split screen multi-tasking on the device. "Multi tasking (is) becoming more common - it's natural that consumers want their screens to become bigger," said Andrew Coughlin, head of LG mobile UK. LG G6 will also feature a water-resistant body, rear fingerprint sensor, dual camera technology, a new wide-screen display format, and access to Google's smart voice assistant. The device has a 18:9 aspect ratio, as opposed to the 16:9 ratio used by most handsets which means that when viewed in landscape mode, the screen appears wider than usual. 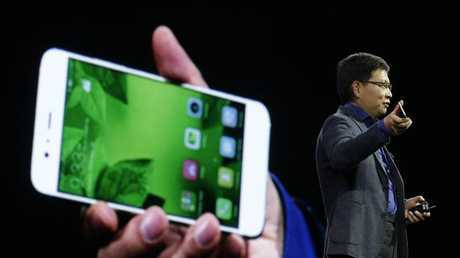 "A big screen that still fits in your hand," was the chronically repeated phrase of the launch event. But it was later when the conversation turned to the important issue of "phone safety" that LG took a sneaky shot at rival Samsung. According to Mr Coughlin, LG had undertaken extra safety measures in production, even exceeding industry standards "to guarantee battery reliability". For some in the audience it was a not-so-subtle reminder about Samsung's recent exploding battery fiasco. To help promote the G6 as the ultimate video streaming and entertainment smartphone, the company has tried to appeal to gamers by including $200 worth of in game content for six games from Google Play with the purchase of the phone. The games include Temple Run 2, Spider Man Unlimited, Genies & Gems and SimCity Builit. The phone is also the first smartphone to support HDR 10 and Dolby Vision - images technology that was previously only available on TVs and allows for brighter and more vivid colours. The handset, which will retail in Australia for just over $1000, is also water and dust proof. The metal frame and curved glass design of the phone comes in a colour choice of platinum, astro black and mystic white. Cameras: Rear: 13MP dual (71 degrees + 125 degrees), 1.12µm pixel size, Aperture (wide - f/2.4, normal - f/1.8). After releasing the Mate 9 in Australia earlier this month, Chinese manufacturer Huawei has announced the P10 - an updated device with a few tricks borrowed from Apple's iPhone. Huawei will release a 5.1-inch and 5.5-inch model of the device, which will come standard with 64GB and 128GB of storage, respectively - both can also be expanded with microSD. The P10 and P10 plus will include a Leica rear-facing dual-lens camera with a 12-megapixel RGB sensor and 20-megapixel monochrome sensor. By combining separate RGB and monochrome sensors, the Mate 9 is able to capture the finest of details and vivid colour signals. Following Apple's lead, the new home button on the Huawei P10 shifts the fingerprint reader from the back of the device to the front. The devices will come in eight colour options, with three different finishes - high gloss, sandblast and "hyper diamond-cut". 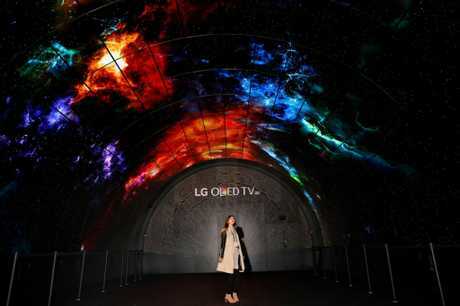 The writer travelled to MWC in Barcelona as a guest of Oppo. iPhone 8: Augmented 3D reality and avatars?